When it comes to business formation in NYC, getting the right start begins with fulfilling the needs of your customers. You can serve your customers best by offering a valuable product or service. This involves structuring your business in a way that adequately supports your existing operational needs while allowing for robust growth. If you have launched a new business in the NYC area, LLC formation can assure a smoother, more organized start. 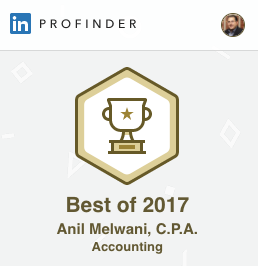 As a business owner himself, 212 Tax principal Anil Melwani understands that a wise allocation of resources is essential to the success of all entities. At 212 Tax, our tax accountants help clients with LLC formation in Manhattan, the outer boroughs and the New York metro area – and our services cost substantially less than what most NYC attorneys charge. Starting a Manhattan business is exciting and thrilling. It’s everything that comes after the excitement and thrill has worn off that dictates whether a small business will make it or not. It’s up to you to maintain and stretch out the “thrill and excitement” period forever. The most successful Manhattan business formations and incorporations follow a methodical plan of action that begins with the right organizational structure. At 212 Tax Accounting Services, our knowledge of NYC business incorporation and LLC formation will help you avoid the common pitfalls that many new small business owners make when starting their new venture. In addition, because 212 Tax offers comprehensive accounting services, CFO services and financial management services for businesses and individuals, you can streamline your operations. You’ll be able to focus your attention where it’s needed most: growing your business. Prepare an initial business plan to clarify your marketing, management, and financial plans with a focus on succeeding in the New York region. Select a business structure (Corporation, Partnership, LLC, etc.) that best fits your needs by evaluating tax advantages, legal exposure, ease of operation and portability. Prepare a Cash Flow Budget so you know exactly how much money you need to keep the business alive each month for the first few years. Unplanned cash requirements are always painful. Note: We are not attorneys and we do not offer specific legal advice or legal services. 212 Tax & Accounting Services sets up NY State LLCs only. We always recommend using an attorney for anyone who is seeking a customized operating agreement and/or any other type of legal advice or legal services. Let us help you succeed by getting your NYC business formation or incorporation off to a good strong start. Please complete the form below to learn more about our New Business Formation Services.